Great Horned Owls are nocturnal, and hunt in complete silence to catch their unsuspecting prey. They have amazing hearing, and can navigate in the pitch dark using echolocation. 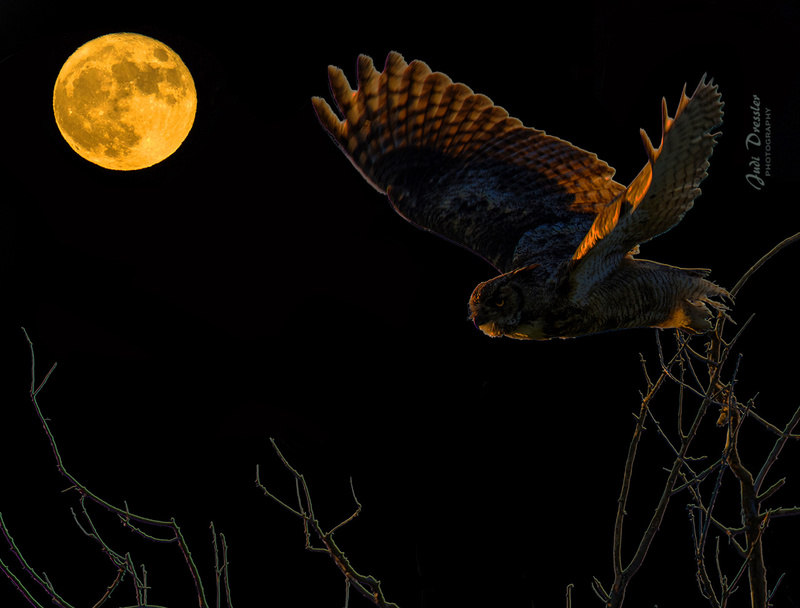 This image was created by merging two photos — of the full harvest moon, and of the owl, which I worked on to produce that moonlit effect. I hope you like it this image of the owl gliding noiselessly over the moonlit branches. Owl photo taken on July 8, 2016.